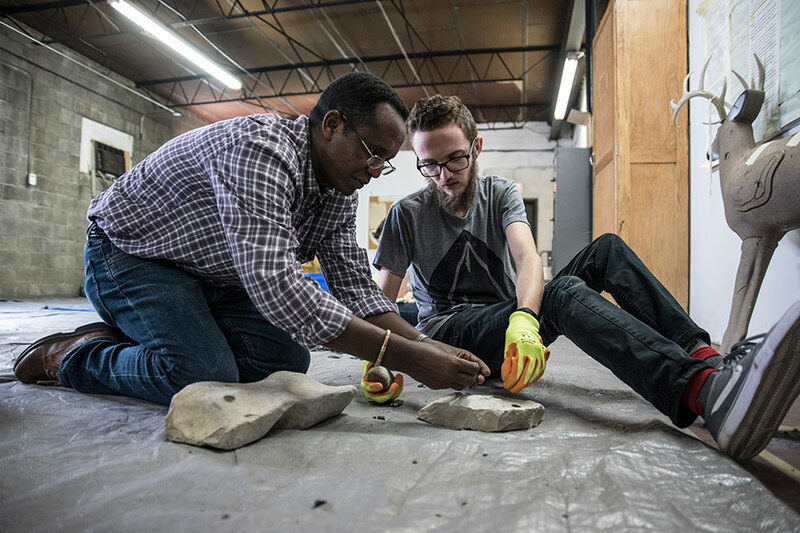 In early 2019, UofL's Department of Anthropology relocated its Archaeology program to 16,200 square feet of renovated space in the historic Portland district of Louisville. Our goal as a Department is to offer a high quality Archaeology program that promotes excellence in teaching, research and practice. Promoting experiential learning through scholarly and engaged research. Archaeology as a discipline enjoys a high public profile and a special place in the public imagination manifest in popular culture, literature, and film. Fresh discoveries generate continuous attention that draws many students who dream of becoming archaeologists. At a practical level, archaeology is about the process of investigation, and that requires specialized preparation. Typically, students acquire hands-on training through laboratory work and participation in field projects. In particular, training in the analysis of human remains, material culture (e.g. 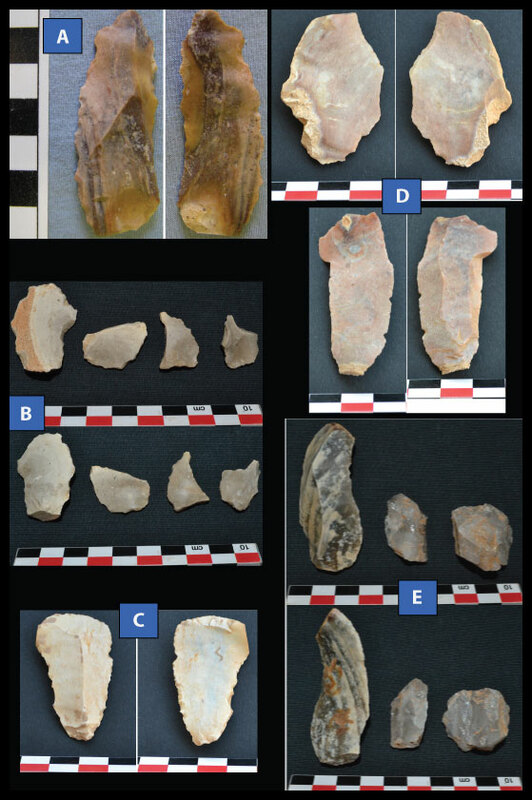 stone tools, ceramics, etc.) and associated finds (e.g. animal bones, plant remains, etc.) that provide the bulk of information about past societies is acquired at the undergraduate level. 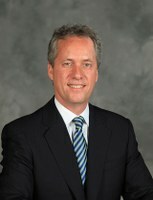 Such instruction equips student for further graduate studies and paid employment. Many of our current undergraduate and graduate students will find employment in private-sector, cultural resource-management firms and/or government agencies with CRM mandates under federal law (Section 106 of the National Historic Preservation Act of 1966). The legal protection of cultural heritage generates continuous demand for skilled labor. The U.S. BLS projects an upswing in archaeology positions over the coming decade. Nonetheless, competition for employment is high and successful job candidates will bring well-developed skill sets acquired as students. Experiential learning of this kind requires appropriate work space and access to the materials. This is not only true for UofL students but also interested scholars, researchers, both academic and general public. Our current lab has regular use by both outside scientific investigators and interested members of the public, many of whom volunteer a few hours a week to inventory and catalog incoming collections. The renovated space in the historic Portland neighborhood will house six laboratories, as well as storage for the archaeology collections developed from the University's own excavations and for entities that contract with the Department under the 1966 National Historical Preservation Act (Section 106). With the new Archaeology Lab we will be able to offer a broad range of experiential training in laboratory and field methods. Four of the new labs will be dedicated teaching laboratories suited for human osteology and skeletal forensics, lithic analysis, ceramic analysis, and zooarchaeology. Two additional ones will be used for preparing soil samples, artifact cleaning, processing, and accessioning artifact collections. Much of this work gets done by student volunteers, work study students, or students doing independent studies with faculty mentors. This program also plan developing a bioarchaeological agenda for the study of past populations in the Midwest region. 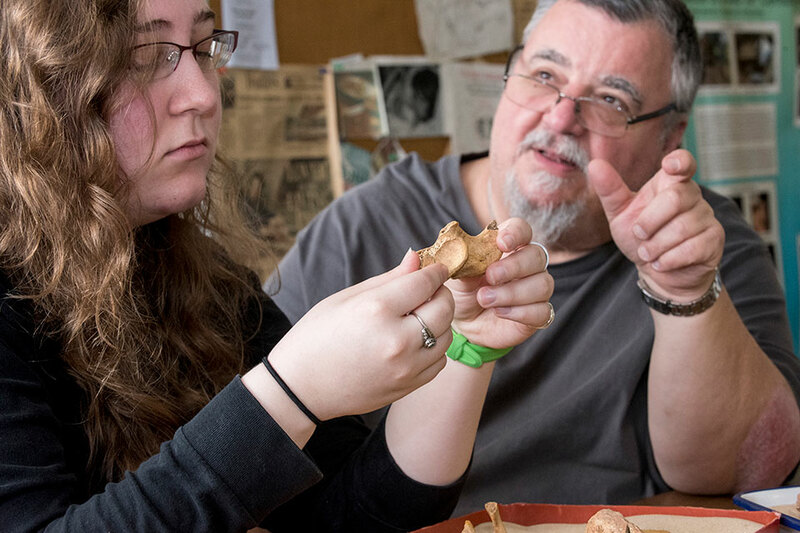 Through the analysis of skeletal remains and current databases in different local institutions, students will learn how to analyze bone markers and lesions to reconstruct health and disease in past populations. The bioarchaeological agenda plans to have strong articulation and collaboration with wet laboratories in the School of Medicine. 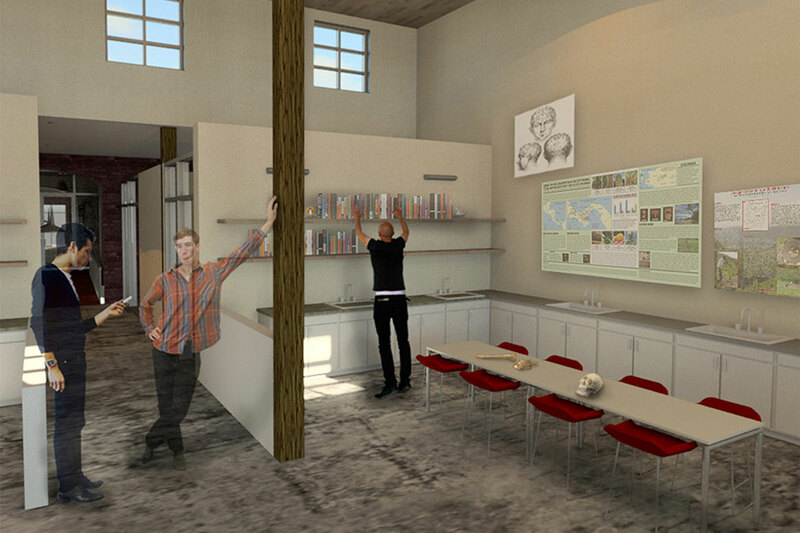 Archaeological Wet Lab - the central processing facility for incoming artifacts and samples that will be analyzed and/or curated at the new facility, has been designed with a half-height wall that permits the public to observe and interact with archaeologists at work. This crucial moment, in the field meets the lab, provides an excellent opportunity to share with members of the public and school groups the value of archaeological contexts, good record-keeping, and appropriate curatorial steps. This kind of interaction not only incites a higher level of engagement with local heritage, often inspiring visitors to become stewards of that heritage, but also provides insight into the archaeological process as part of making histories and as a possible career choice. The program will be situated immediately adjacent to the University's MFA program. The proximity of the Archaeology and MFA programs offers numerous opportunities for collaboration and synergy, and the program faculty of both units are actively exploring avenues of public interaction. Both programs have a natural affinity because they work in the material world. For example, we envision crossover with the two programs in recreating ancient ceramic production techniques, experimental work to test the tensile and heat resistance of ancient pots, and enhancing creative designs of contemporary ceramic artists through knowledge of the past. The new archaeology lab will make possible a range of interactions between the public and the archaeology staff, faculty, and students. We are planning exhibition/gallery/presentation space in which resident, affiliate, and visiting faculty and students can bring pieces of their research–whether it is archaeological findings, footage or images of the research process, or active learning activities—to a wider public. We have designed the space itself to be inviting and lend itself to interaction, but are also in the process of planning curricular and non-curricular activities that will actively involve local schools as participants in the production of local historical knowledge.